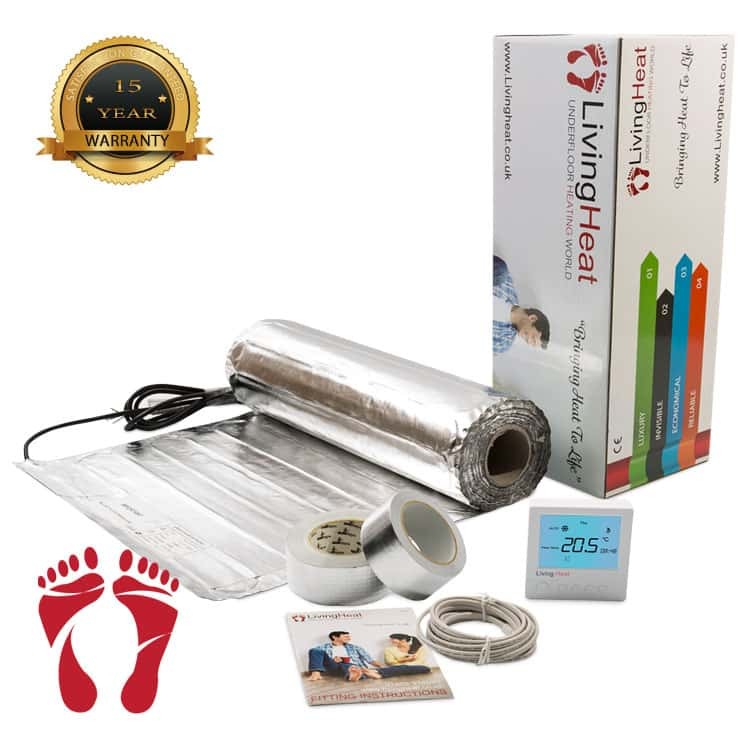 These Heat Film under laminate floor heating mats are ideal for high heat loss and cold areas. At 200 watts per m2, this underfloor heating is super powerful yet still very gentle on your wood or laminate flooring.Please note this is a made to measure bespoke system and so we will require accurate room dimensions to allow us to produce a system to best fit your room area. 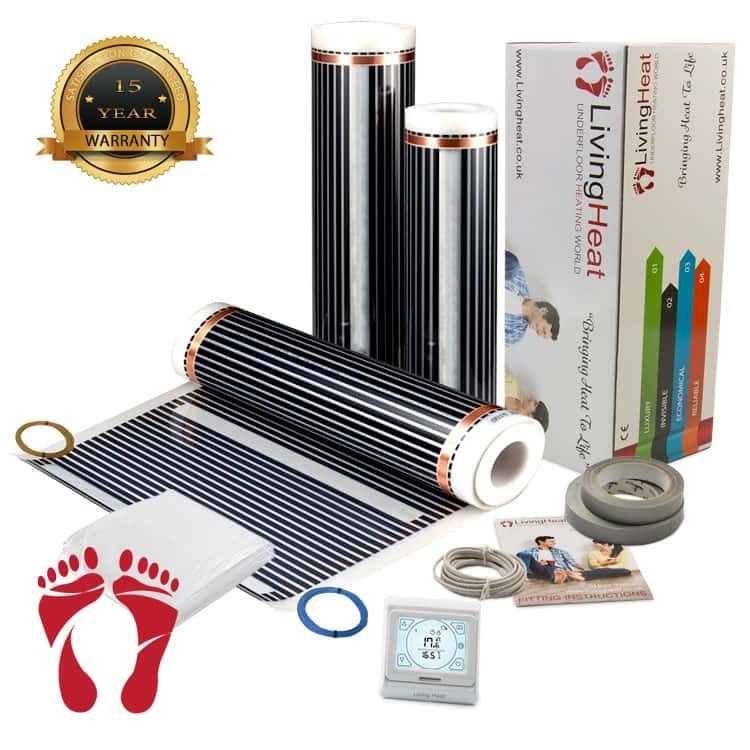 Heat foil mats are easy and quick to fit and ideal for virtually any room within your home or office. At 150w per m2, these mats can be used as a primary heat source so no more radiators required but also perfect for simple floor warming if only a small area is needed.